Explore the universe from the best seat in the house. 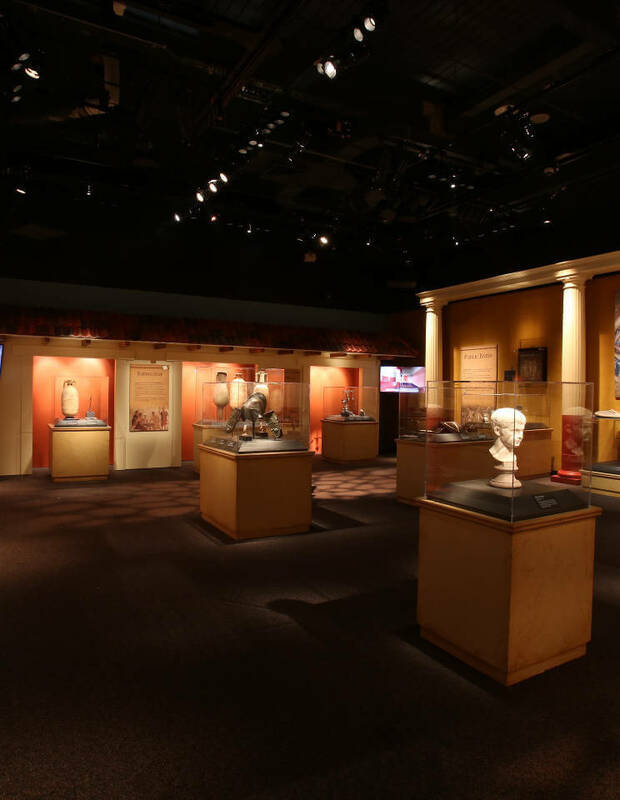 Journey through space and time with our state-of-the-art motion-based virtual reality exhibit. The latest visual display technology allows you to dive into the darkest depths of a prehistoric ocean, or feel like you’re floating through space from the cargo bay of the Space Shuttle Discovery. 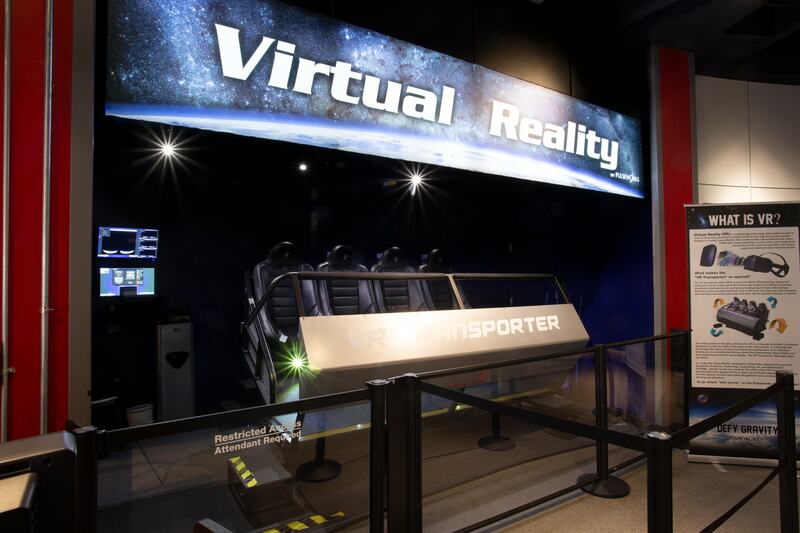 Tickets for the Virtual Reality Transporter are available at the Science Center. Call our box office at 314.289.4400 for more information. While VR technology mimics the immersive visuals of the real world, Pulseworks motion and effects technology confirms what wearers are seeing by providing input to their other senses. 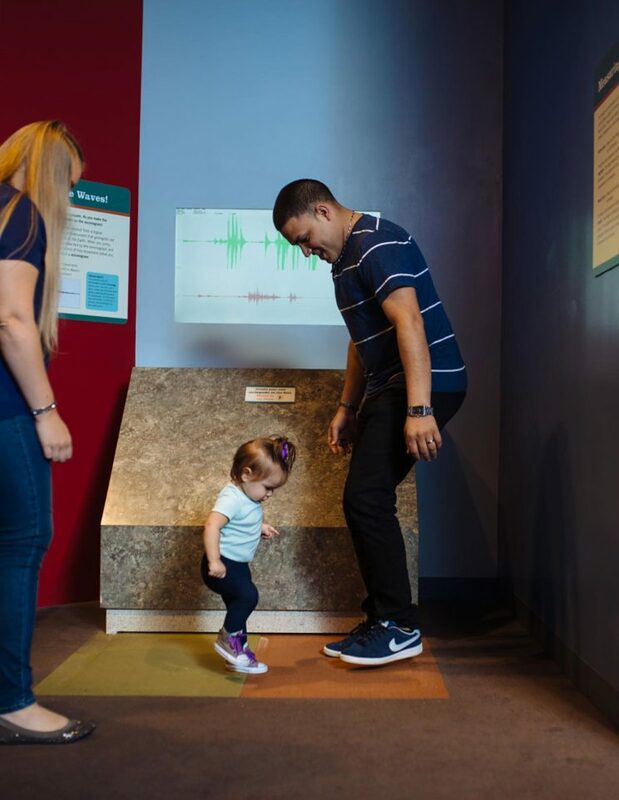 Dynamic motion provides important cues to the brain that they are really traveling, and stunning surround-sound audio and other effects heighten feelings of realism. The effect of the VR Transporter is so powerful that many guests will try to reach out and touch objects as they pass by. Riders must be at least 42 inches tall. 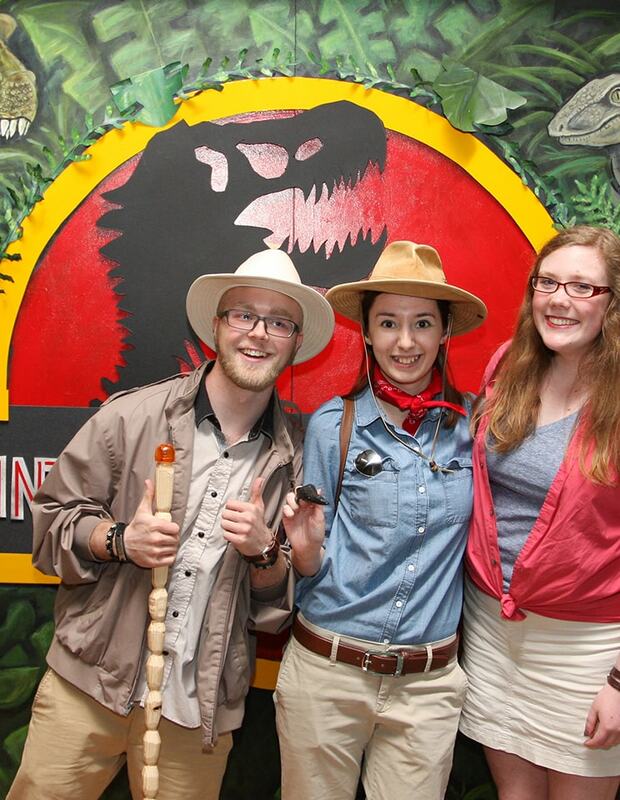 Eyeglasses and hats may not be worn during the adventure. 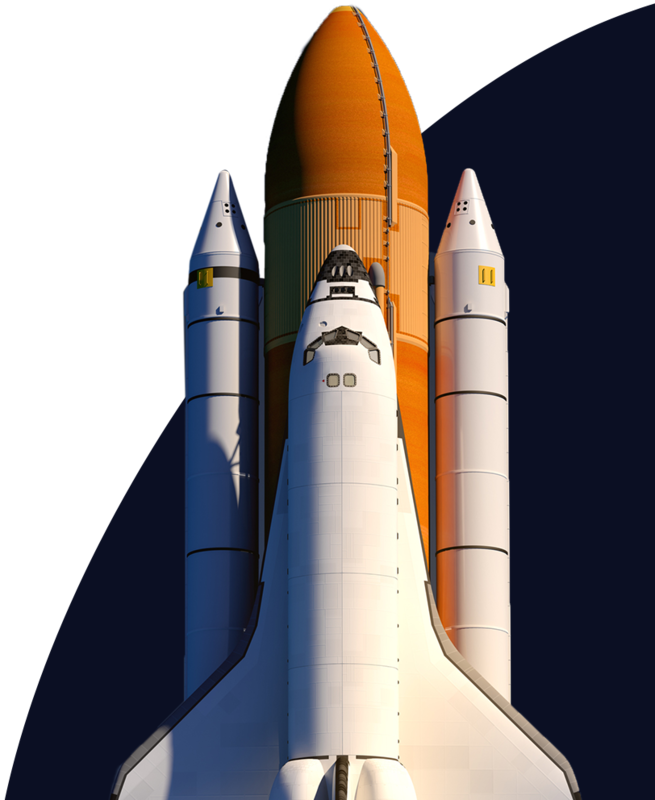 Blast off into space in the cargo bay of the Space Shuttle Discovery as you embark on an exciting extravehicular activity (EVA). 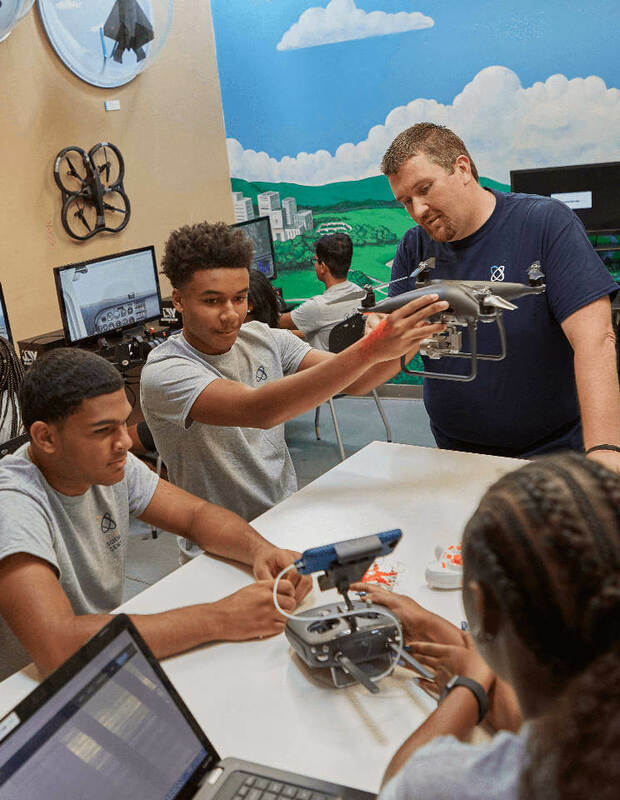 Tour the International Space Station and fly through space on crucial missions using NASA’s new, state of the-art manned-maneuvering unit. Dive into prehistoric seas and experience the amazing marine life of the distant past. Swim with primordial creatures and tour the ocean floor without ever leaving land. Members ride at a discount. 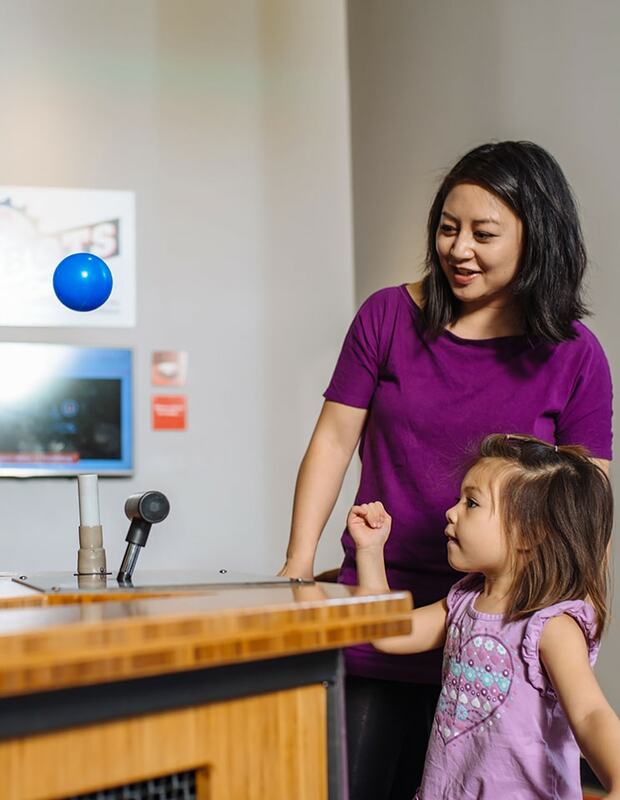 Save on your Virtual Reality Transporter adventure with a Saint Louis Science Center membership.